Harry Meade is one of Britain’s leading event riders and was a member of the silver medal winning team at the 2014 World Championships in Normandy. He is widely respected in the equestrian world for his quiet and sympathetic style of riding. Harry’s success at top level comes as no surprise when you look at his background; his late father, Richard Meade, is Britain's most successful Olympic Equestrian of all time winning three Olympic gold medals, and the family are all keen riders. 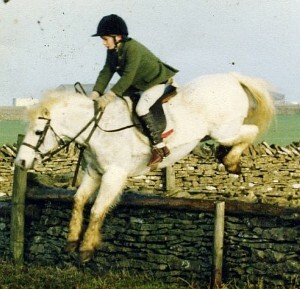 As a young boy Harry grew up hunting and he was a keen member of the local Pony Club. Much of his childhood was spent in the saddle – but less in the form of tuition and competition – ultimately shaping him into a natural rider, developing feel and instinct. Harry always aspired to follow in his father’s footsteps and as a boy looked up to the overseas pupils who were based at the family yard, many of whom went on to international success. 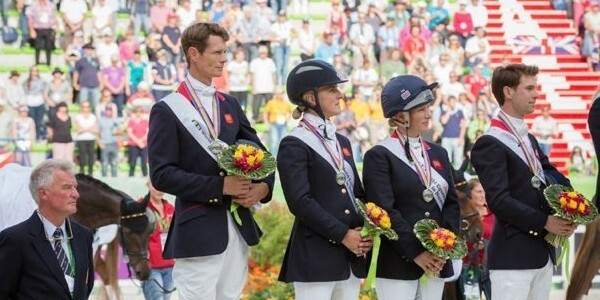 Having won the Pony Club Championships on a one-off catch ride, Harry’s first taste of international competition was as a member of the British team at the Junior European Championships. Harry received a special prize for the stand out cross-country performance of the championships, an indication of what was to come. Harry took every opportunity to gain rides in the early days of his career, and whilst at Bristol University he was stable jockey to William Fox-Pitt. It was there that he took over the ride on Midnight Dazzler, a notoriously difficult horse who had had a chequered past with a number of top riders. Without a horse at the time, a 20 year old Harry put everything into overcoming the challenges and a partnership developed that saw the pair become one of the most consistent four-star combinations on the international circuit. In August 2013 Harry suffered career-threatening injuries in a rotational fall, shattering and dislocating both elbows. After extensive reconstructive surgery, he was left dependant on 24-hour care for the ensuing months for even the most basic needs. An uncertain period of intensive rehabilitation followed, during which there was doubt over whether he would ride again. After six months and five operations which were only partially successful, Harry climbed back into the saddle, heavily strapped up, despite considerable uncertainty over whether he would be able to withstand riding. 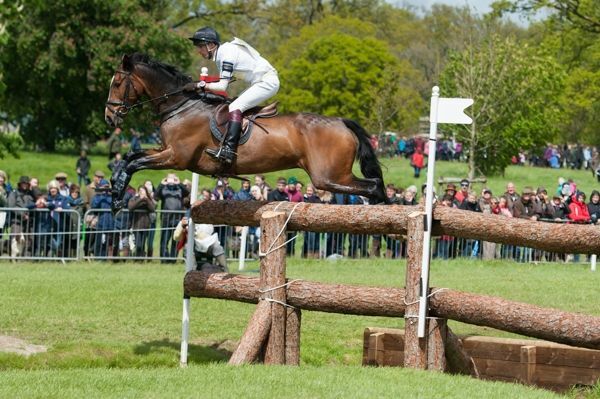 To the concern of his medical team and family, he set his sights on Badminton with Wild Lone, an event which would later go down as one of the toughest of recent decades with fewer than half the competitors making it to the finish line. In a fairy-tale ending Harry and Wild Lone finished third, sealing a comeback that captured the nation’s imagination. That Autumn Wild Lone, a horse that Harry had produced from a four year old, put up a similarly strong performance at the World Championships, in the anchor position of the British team. But after finishing tragedy struck when Wild Lone died in the washing off area. Harry and his longstanding groom, Jess, were shattered by the loss. Harry and his wife Rosie have two children – Lily, aged three, and one year old Charlie, who was delivered at home by his father after arriving in a hurry before the ambulance arrived. They live in the Cotswold village of Luckington, a mile from Badminton. Rosie is a key part of the team, she is involved with planning logistics and entertaining owners –﻿ both she and Harry believe that owners are the cornerstone of their success and they make every effort to provide a fun experience both in and out of season. In 2014 Harry was voted the EHOA Rider of the Year (by the body that represents Owners within the sport), the ERA Rider of the Year (by the Riders’ body) and the BEWA Rider of the Year (by the Press and the Media). In a poll in Horse and Hound, Harry was also named H&H Rider of the Year, ahead of AP MaCoy and Carl Hester. Harry received as many votes from the public as the other 9 candidates combined. Harry has a successful relationship with sponsors. He has been fortunate to be linked with some of the best know brands in sport – such as Land Rover, HSBC and Pol Roger –﻿﻿ as well as small fledgling businesses trying to step up to the next level. Harry writes a regular column for various print publications (previously The Western Daily Press and Eventing Magazine; currently Horse & Hound), and he regularly links up with both equestrian and national press for features and articles. More recently he has also commentated for the BBC. Fully recovered, Harry is as hungry as ever to compete at top level and hopes to continue to produce horses to championship success. If you are interested in joining the adventure and becoming an owner, or asking Harry to ride a horse you already have, then please do get in touch.